TV ratings war is currently dominated by ABS-CBN shows for the survey period of Sept 25-Oct 1,2017. Philippine TV ratings survey agencies AGB Nielsen and Kantar both agreed that ABS-CBN shows are the leaders for this week. Pepito Manaloto, MMK, Super Ma'am and Ang Probinsyano. 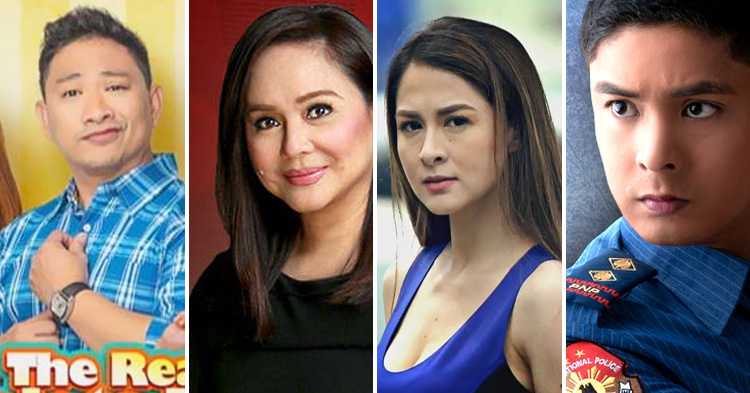 Data from AGB Nielsen NUTAM People showed ABS-CBN's Maalaala Mo Kaya and FPJ's Ang Probinsyano as leaders for this week. The two Kapamilya shows both scored 11.6% ratings making them the number one programs. MMK's Saturday episode featured Jessy Mendiola in a story of finding her biological parents. Completing this weeks top 3 shows on AGB Nielsens ratings board are GMA7's Pepito Manaloto with 11.3% and ABS-CBN's La Luna Sangre with 11.0%. Meanwhile, ABS-CBN also ruled Kantar Media National TV ratings during the survey week. Coco Martin's FPJ's Ang Probinsyano led Kantar's ratings board. The 2-year old Kapamilya teleserye posted a ratings of 39.3% to be this week's most watch TV program. Ang Probinsyano has been consistenly top rater for quite sometime, one of the main reasons why it remains on air. Following Ang Probinsyano are La Luna Sangre in 2nd place with 34.7% and Little Big Shots in 3rd place with 33.5%.